“The church... is one of London's most original and magnificent places of worship. S. Michael's chapel... must be one of London's loveliest rooms." S. Augustine's is located on Kilburn Park Road close to the junction of Carlton Vale and Kilburn Park Road. It is well served by public transport. The nearest Tube station is Kilburn Park (Bakerloo line), which is approximately a five minute walk to the church. 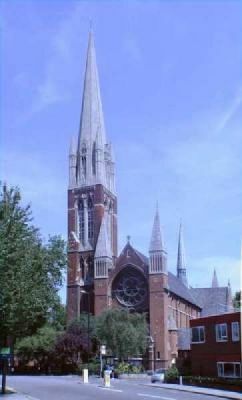 The nearest London Overground station is Kilburn High Road, which is approximately a ten minute walk to the church. The following buses stop directly outside S. Augustine's: 31, 316, 328.